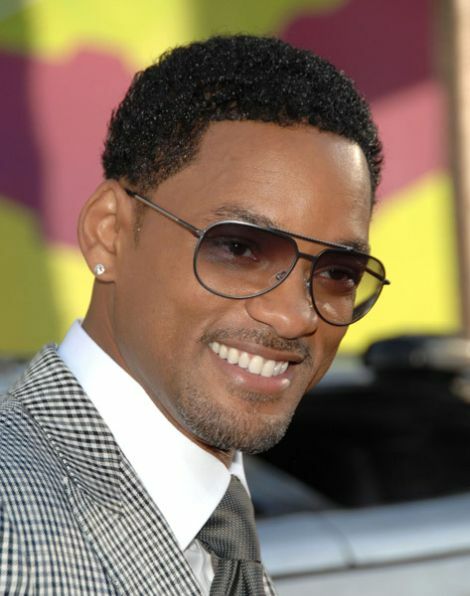 Black men hairstyles are as varied and different as those of women. Indeed, their choices for styling their hair feature cuts of all lengths and styles. To find the style that is best for him, a man can consider his lifestyle, personality, career, and overall appearance. A black person's hair is by nature very thick and curly. In fact, it can be very hard to keep combed and properly maintained. A black man's hair, if not kept properly, might become tangled and matted. Even more, the gentleman usually does not relax his hair as a woman would. Thus, he must find other hairstyles in which to wear his hair. A person who is an athlete or who is in the military may not be able to wear a longer hairstyle and may favor a shorter cut. One such short style is the buzz cut. A stylist uses clippers to achieve this cut for his or her customer. The cut features lengths that ranges from one quarter of an inch, a half inch, or longer. However, most barbers recommend that black men wear this cut shorter than other men in order to avoid complications caused by curling. Like the buzz cut, the shaved cut also allows men to wear their hair short. However, this style is typically longer than having one's hair buzzed. With this style, a man can still wear his sideburns long and wear hair longer by his hairline. Additionally, a man can request that geometric shapes, designs, ridges, and words be shaved into his hair's length. Black men hairstyles often feature braids. These braids, called dreadlocks and cornrows, allow him to possess a great deal of length to his hair. Dreadlocks, or dreads, are long loose braids that may go all the way down to a man's waist or as high as his neck line. These braids as sometimes the choice of style for men who come from Jamaican or Caribbean heritage. Bob Marley, the Jamaican singer, famously sported dreadlocks. Braids can also be fashioned in the cornrow style. These braids are tighter and placed closely to the scalp. In fact, the style itself imitates that of the woman's braid style known as French braiding. Stylists note that cornrows can be traced back to Africa, thus their appeal for some men. The braids may be plaited as wide or as narrow as the man wishes. Fades are a hairstyle that will never go out of style; a fade is in a way like a tailored buzz cut. Many black males wear a fade just for the simple fact of how versatile the hairstyle is. Regardless if you're a rapper of a successful business man, a fade can compliment any black male or ethnic male's features. Afros are making a comeback, so don't be hesitant if you see a 3 foot Afro on a famous rapper or singer. Everyone critiqued Lenny Kravitz when he wittingly wore an Afro in his famous video for American Woman, but now more and more people are bringing back this classic hairstyle from the 60s and 70s.